Whether you are a seasoned trade show designer or a newbie trying to host their first webinar, you must have read about the power of social media. Social media is the biggest boon of the twenty-first century. It has helped celebrities like Kylie Jenner reach the height of stardom and kept marketers on their toes for the latter half of the decade. It has the potential to skyrocket any product, service, and event. So if you are planning your event, this article is the right place for you. We will share the importance of social media in the success of an event and give you detailed examples to help you out. Get your notepads ready; it’s time to jot down a few points! Weddings, graduations, birthdays, concerts; take your pick and look at the common trend of today. Each of these events has their hashtags. 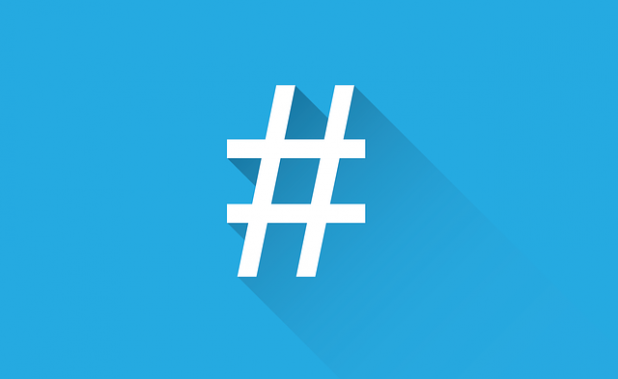 A hashtag is a natural step in the direction of ruling social media marketing for your event. It creates brand awareness and engages the audience in your content. It is the path to quantifying your posts and making it easier for your audience to follow the happenings on your social media. The most significant concern for hashtags is to use the ultimate level of creativity to form a unique and short hashtag that is catchy and compelling. One of the reasons why social media is the best outlet for the promotion of your event is its ubiquitous nature. Everyone regardless of their socio-economic background, cultural associations and age group is somehow connected to social media. One of the most substantial impacts this medium has is the importance bestowed upon social media influencers. People listen to their words, buy products on their recommendations and also visit places that their favorite blogger/vlogger/influencer names. Connect with the right influencer and watch your event become a huge success! None of us have escaped the paid ads on Facebook, YouTube, and Instagram. These advertisements are estimated to be one of the fastest call-to-action schemes due to their subtle placements. Make use of bright graphics that not only catch the viewers’ attention but also initiates the urge to take action (check your page, buy tickets, anything works really). Intelligent use of words paired with the right graphics will boost activity on your handles and double the engagement on your event. The human brain loves visuals more than it likes words. Colorful, bright and catchy graphics are more likely to attract people than a post made of everyday words. No matter how much heart and soul you put into writing the right post, people will scroll up without reading it if there are no visuals attached. This is precisely why any trade show exhibit company spends a great deal of time, money and energy on designing the perfect graphics for an event. Remember to give your posts the right direction by creating graphics that share your story. Since we have already established the importance of visuals on social media, ignoring the power of videos would be foolish. The world is changing faster than you know. People receive an influx of information every day in the form of ads, emails, posts, texts and what not. In the hustle of every day, there is a chance that your followers skip your posts. Videos are captivating and hard to ignore. When you make videos that ‘show’ the event, people will develop an interest in your event. Much work goes into making an event a success. Intense labor, hours of brainstorming, planning, coordinating and what not goes into organizing an event that is worth the visitors’, time, energy and money. When you have a story for your event, you should show the behind the scenes too. It creates a natural sense of belonging in your intended audience. Their interest in your event is likely to spike when they see the energy and dedication of your team behind the event. According to studies, people actively participate up to 30 times more on live videos as compared to regular videos. When you provide live coverage of an event – behind the scenes, or of the attendees welcoming the audience – viewers love that interaction. Facebook, Instagram and all of these brilliant social media apps have made live streaming a very cost-effective way of broadcasting an event. Anyone with a smartphone can live stream an event. Every product, service, blogger or event needs a story. When you are promoting an event on social media, the significance of a story multiplies itself. Your vision, values, team members, the level of energy and the reason for hosting the event are all essential makeup elements of your account. So whether you are coordinating the graphics for your scheduled posts or you are trying to find the best influencer, working on a story is crucial for you. Once your event is over, you can post a professional video of your event to thank the audience and encourage new people to visit you the next year. Your existing followers will feel compelled to follow you and keep an eye on your upcoming events too! Adeel Akhter is a contributor on behalf of https://exhibitus.com/, a trade show design company.